When is a drink not a drink? When it’s also a cultural institution. And an object of adoration. No, scratch adoration, let’s just call it worship. Here at Time Out Towers, there are a lot of people who regard the negroni in precisely that way. Which is why we can’t put down our copy of 'The Life Negroni', published recently by Spinach Publishing, which is packed full of info and plenty of speculation. 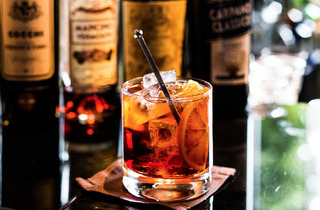 The allegedly simple recipe for making a negroni (equal parts of gin, red vermouth and bitters, usually Campari) is revealed as endlessly complicated, since different brands of the three ingredients change the result in sometimes earth-shaking ways. But 'The Life Negroni' is not a technical manual. It’s a celebration of all the drink’s many dimensions: historical, social, cultural, artistic. Eminent negronistas, from Orson Welles to George Clooney to London’s own Tony Conigliaro, find their way into the pages. And the pictures are gorgeous, whether they’re posters, label shots, or Eva Green’s photoshoot for the 2015 Campari calendar. 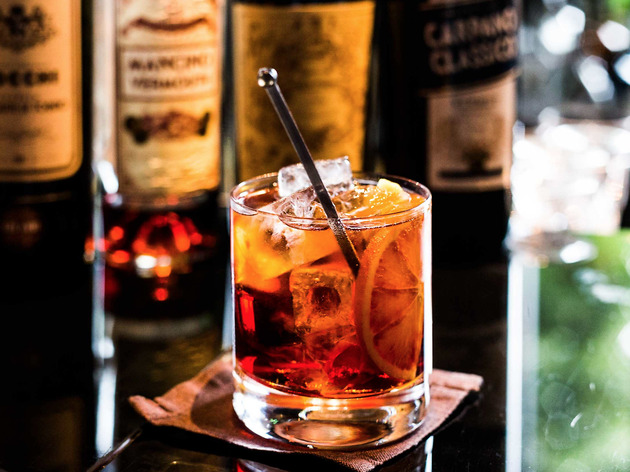 The ideal place to read 'The Life Negroni' is at Bar Termini, whose ‘negroni classico’ we have judged to be the best signature cocktail in London. But be warned: this is a gripping read, and you won’t make decent headway unless you order another round. Find out more at thelifenegroni.com. Thirsty? Here are the best cocktails bars in London. Richard Ehrlich prays that he will never have to give up oysters, cured-pork products of any kind, or Martinis. You can follow him on Twitter @richardehrlich, but why bother?